Tucked into the east end of Main Street, Montana Ale Works is a favorite gathering place for Bozeman locals, and for good reason. This favorite is housed in a retro-industrial railroad freight house, and offers plenty of seating amidst pool tables and televisions. While the main dining room can get a little loud, the atmosphere is hard to beat, and a separate, smaller, by-reservation dining room readily accommodates those seeking a quieter atmosphere. The menu is fresh and innovative, featuring locally sourced ingredients. The Montana Mules and off-menu parmesan fries are favorites of locals in the know after a long day in the mountains. The Rockin’ R Bar is a Bozeman institution, and it can often be found brimming with famous mountaineers, local ranch hands, chummy college students and traveling ski bums. Twenty TVs, four pool tables, dart boards, and a cozy, friendly atmosphere make this a favorite for post-adventure drinks and dinner. In the summertime the bar is open to the street, offering al fresco seating and excellent people watching. A horde of other bars downtown promise all that you’d expect from a mountain-based college town—including casual drinks, booming music, and entertaining people-watching. The Crystal is a vintage Bozeman institution, Pub 317 offers an Irish-inspired respite, the Cannery offers stellar burgers from next-door Burger Bob’s and the Zebra, located in the Old Bozeman Hotel, offers some of the town’s wilder party nights and live music. For those seeking a slightly more refined evening experience, Plonk is a wine bar serving an array of quality wines and cocktails, teamed with globally inspired dishes. A cheese plate and drinks are a popular, early-evening distraction before a stroll downtown, but those seeking a full, multi-course meal won’t be disappointed, either. Nestle into the comfortable seating and casual yet refined atmosphere (the downstairs private wine cellar is excellent for large parties), enjoy one of Plonk’s scrumptious desserts and listen to live Jazz music. Copper Whiskey Bar and Grill offers more than 125 whiskies and a well-curated dinner menu. Tucked cozily in a Western-themed basement space downtown, Copper offers quick, sharp service, a tempting menu (think Gouda Mac ’n Cheese) and a wide variety of handcrafted cocktails. It’s a popular choice for those seeking good food and drink with a somewhat quiet atmosphere for conversation, but not dressy enough to warrant more than a clean pair of jeans. For those looking to play outside of downtown, there are several "local’s favorites" options, including the Filling Station, conveniently located on the way to skiing at Bridger Bowl. Dating back to 1976, the classic roadhouse bar features a revolving array of live musicians, a taste of down-home Montana grit and excellent people-watching. 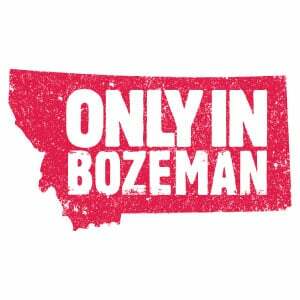 Looking for a taste of the authentic Bozeman outdoor crowd? This is one of their go-to evening spots, especially during ski season. The Haufbrau, also located just slightly away from downtown on Main Street & 8th Avenue, offers a rotating variety of live music. The atmosphere is very low-key and oftentimes loud, but cheap food and drinks ensure a steady stream of customers. Frye’s fries are a menu favorite; food and drink specials change frequently. It’s an easy stop for a quick burger and beer, and bingo and open-mic nights provide evening entertainment. The Haufbrau is part of Bozeman’s famed "Barmuda Triangle," consisting of three bars in close proximity to each other near the intersection of Main Street and 8th. A visit to the Haufbrau, together with the Molly Brown and the Scoop, is an experience that’s quintessentially Montana — gritty without the “glitz and glamour” of downtown. 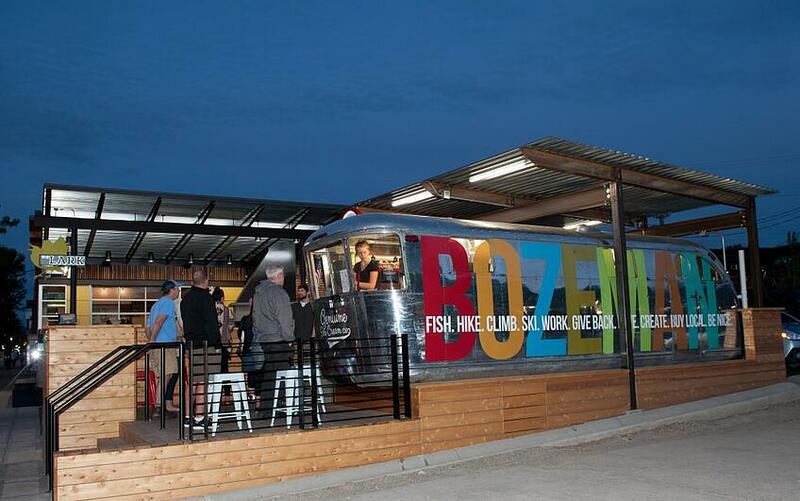 However you choose to wile away your evenings in Bozeman, the options abound. After a hard day hitting the slopes or eating up the miles on the trail, rest, relaxation, and even a bit of celebration is due. 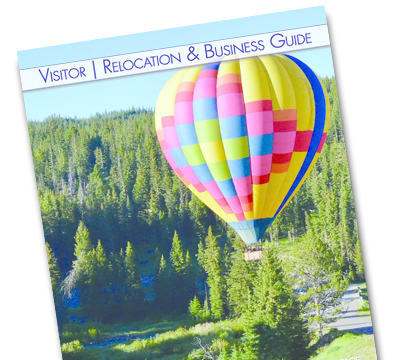 Whether you’re looking for a quiet evening out with friends or a night of partying with Bozeman’s finest, this mountain town has something simply waiting for you.